SAIL meetings are held the second Tuesday of each month. Sail Updates are listed below. These files require Adobe Acrobat or the free Adobe Reader to be installed on your machine. 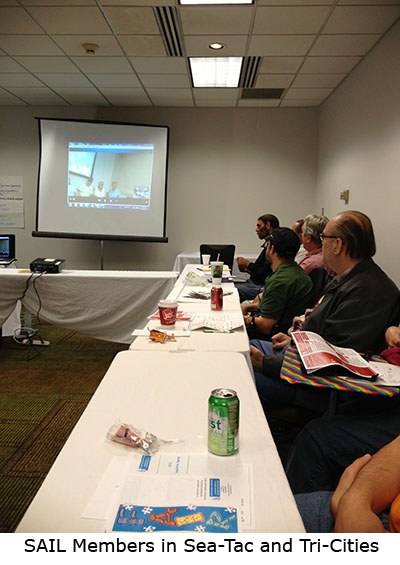 SAIL is currently meeting at the Red Lion Seattle Airport Hotel. The address is 18220 International Blvd, Seattle, WA 98188. We meet in either the hotel's meeting room or at Gregory's Bar & Grill's meeting room which is next door. 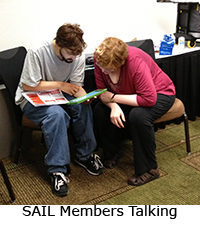 For more information about SAIL coalition meetings, contact Noah Seidel by e-mail or by phone at 888-754-8798.